If you're an eBay veteran, you know that every moment of a late-stage auction counts. You don't want to lose because you couldn't grab your phone quickly enough to make a counter-bid, after all. 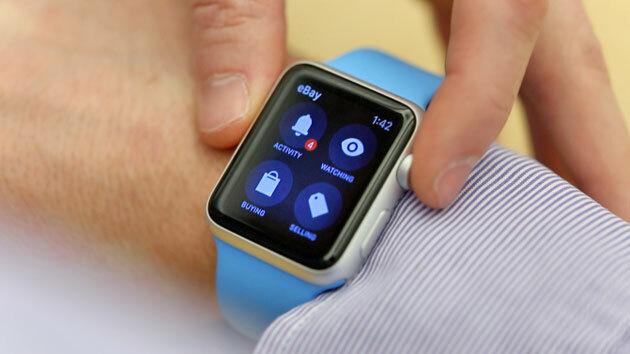 Appropriately, eBay is rolling out an Apple Watch app to go with its Pebble and Samsung Gear efforts. The wearable software both gives you alerts for auctions and lets you make quick bids -- you might prevent someone from sniping that antique auction without even reaching into your pocket. You can also reply to messages with voice dictation, and keep tabs on your top-level buying and selling activity. The update should hit the App Store today, so check it out if you always have to beat other buyers to the punch.